Our range of material handling equipment includes material handling conveyors, roller conveyors, pulley assembly, bearing blocks and forged rolls. These are available at competent prices for industrial buyers. Apart from standard array of material handling equipment, we also manufacture custom-configured material handling equipment. We assist clients with design, fabrication & installation of material handling equipment. 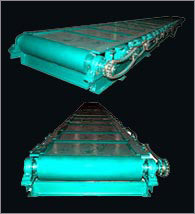 With rich expertise, we have emerged as a renowned manufacturer of roller conveyors that find application in construction industry. These conveyors have gained appreciation for sturdy built, easy operation, and negligible maintenance. Our clients can avail these at industry leading prices. Our range of innovative bearing is designed to provide a modular rotation assembly to provide load support for the shaft axis. The requirements of ergonomic material handling applications have led to bearing assemblies which are lightweight, durable, and have high loading capacity. 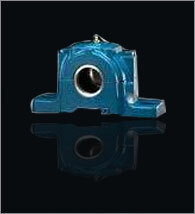 Each bearing assembly is provided with several flexible mounting options. While our bearing blocks have been specially designed to meet the needs of material handling, they can be incorporated into many other machine design applications. Our clients can avail from us quality range of forged rolls that find application in steel rolling, textile, cement and fertilizer plants. These forged rolls are available in various weights, diameters and thickness to meet varied applications and clients requirements. Offered in carbon steel, alloy steel and stainless steel, these rolls are available in different capacity ranging up to 6500 mm length and 600 mm diameter. 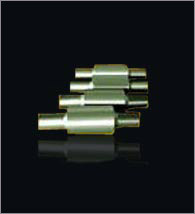 These forged rolls also find application in material handing equipment, machine tools and sugar mills. 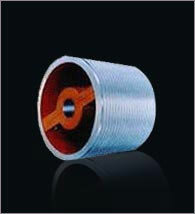 Our clients can avail from us a qualitative range of pulley assembly that is easy to operate and maintain. Fabricated using finest grades of cast iron, these hot rolling machines have gained appreciation for consistent performance, higher efficiency and longer service life. We even customize our range as per the clients specific requirements.